How could I have missed this? As the tweet below (h/t: Grania) indicates, it’s NATIONAL CAT DAY! And the hashtag #NationalCatDay is full of swell pictures. 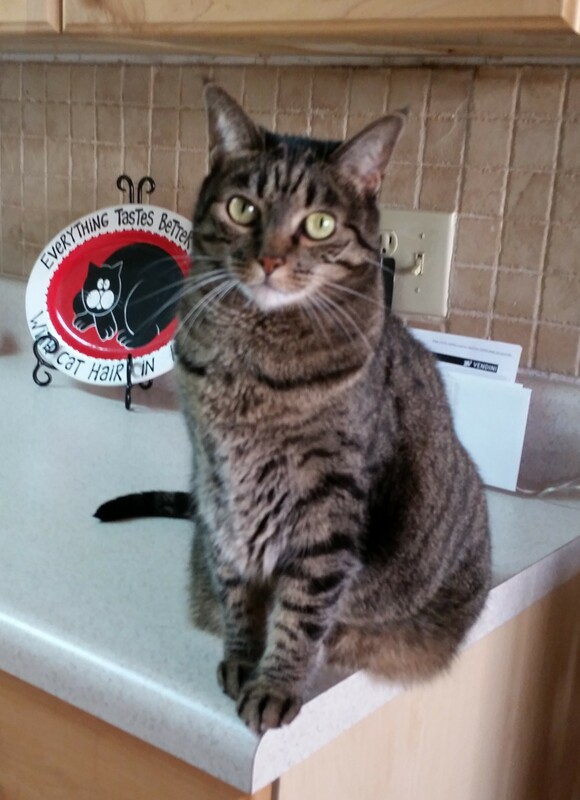 In honor of this day, the first five readers who send me a photo of their cat, along with two sentences giving its name and some salient facts, will have them posted here. Be quick about it. (I’ll add them to this post.) One picture per reader, please. 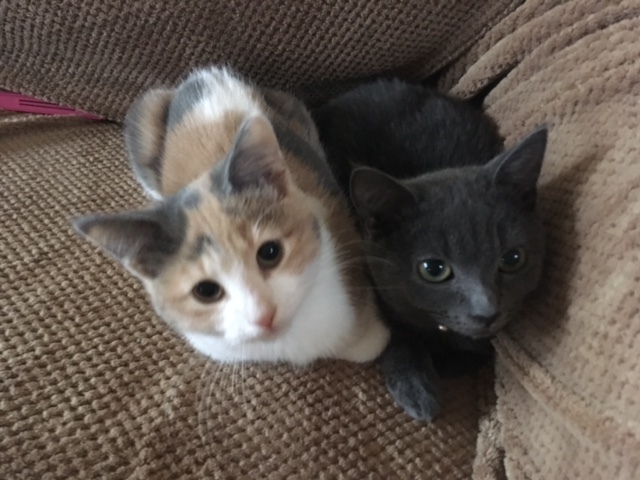 Here my cats: Sushi and Wasabi – they are not related but both came from the same feral colony in VT (near Bennington). Sushi (dilute calico) was born without a tail and is polydactyl – her mother was a black cat with tail and polydactyl which makes the father orange and white without tail – the litter was 3 tail-less to 1 tailed (expected for dominant tailess would be 1:1). This is her highness Coco Chanel. 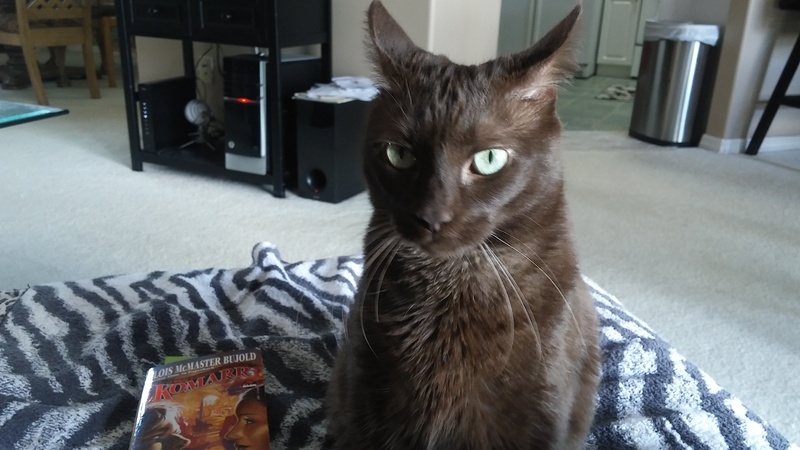 In this picture she is telepathically communicating to me that she is so amazing in every way that I really should be giving her all of my attention instead of paying attention to the book I am trying to read. So demanding! I’m sure she is sometimes exasperated by the seeming denseness of her human staff. We try! 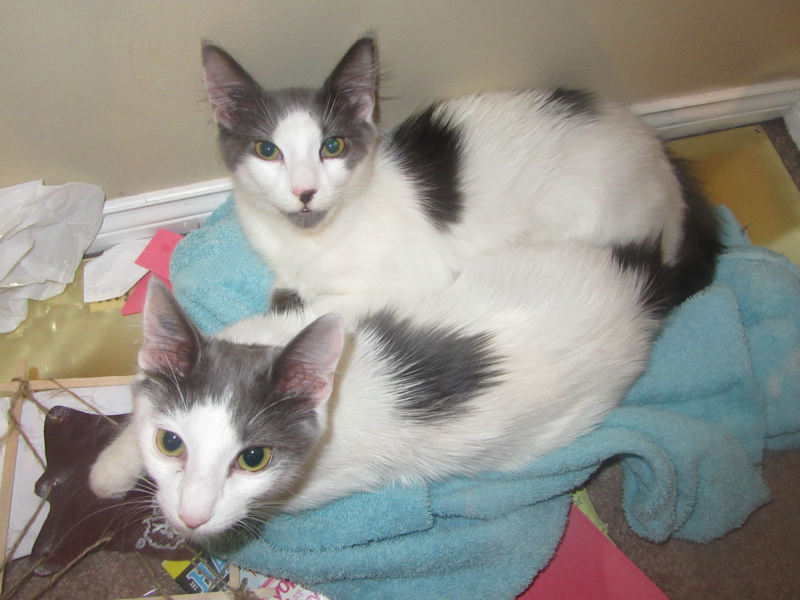 These are two cats I’m fostering at the moment: Thing 1 and Thing 2. Thing 2 at the back has two spots on his shoulders, a goatee, and is generally more cuddly. K-two, K-too or K2. K2 probably isn’t the best as this was the street drug that many people have over-dosed on. never thought I wanted a kitten but he is hilarious and goes full speed non-stop until he finally falls over completely exhausted. 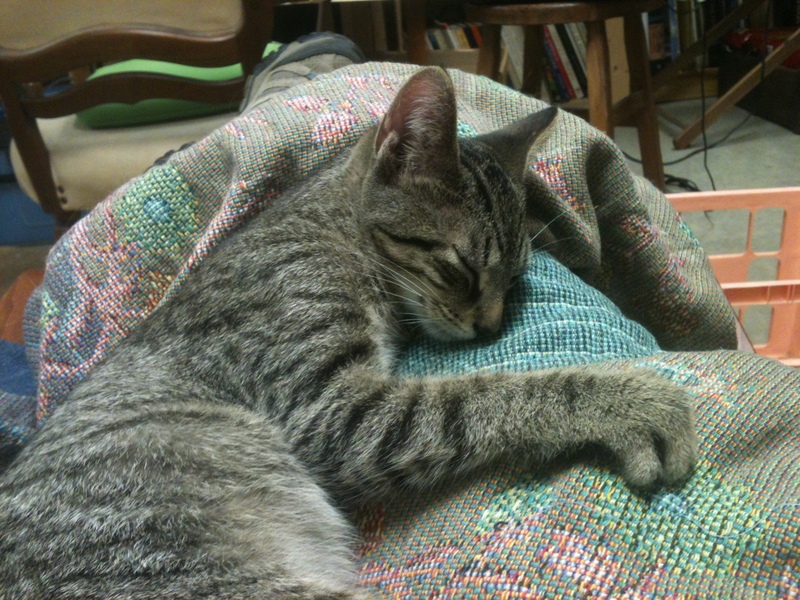 This entry was written by whyevolutionistrue and posted on October 29, 2018 at 12:30 pm and filed under felids, Uncategorized. Bookmark the permalink. Follow any comments here with the RSS feed for this post. Both comments and trackbacks are currently closed. To paraphrase Inspector Clouseau…. that is not my cat. K2 is also the nickname of Chhogori, the second highest mountain in the world, so it’s not such a bad name for a climbing kitty. I’m sorry I didn’t get my two beautiful cats, Brio and Zing, into the mix. These cats are beautiful too, of course. Why not think of K2 being named after the second highest mountain in the world? Beautiful kitties. But, is there any other kind? Nice cats! Sushi can servea as a genetic teaching tool. (Does anyone know which gene dilutes the color?) And K2 is of course named after the mountain!